we don't want you to miss anything! Also make sure to follow Erica's blog so you will know when she has contests, prizes, challenges, swaps & special online coupons. Currently she is running a Scrapbook & Card challenge over on her challenge blog and you can win a gift certificate to her webstore! You'll also want to head over to her webstore to see all the awesome deals she is offering! Don't forget to tell her Miranda sent you! Don't forget to comment along the way on all of the blogs today and tomorrow to be entered to win the Cricut cartridge that Erica is giving away today. Winners will be announced on her blog on Tuesday! Now for the fun stuff. 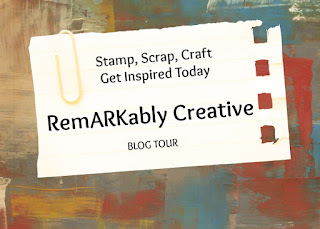 For June's blog hop, I decided to use Mickey and Friends, Birthday Bash, Berries and Creme, and Nifty Fifties cricut cartridges! For my first card, I used the Nifty Fifties cartridge and Berries and Creme. I cut the TV out at 2.5 inches. I added some liquid pearls to make the knobs. The sentiment is from Pink by Design Almost Famous stamp set. For my second card, I used Berries and Creme, Mickey and Friends and Birthday Bash. I cut the card base from Birthday Bash at 5 inches. The envelope is from Mickey and Friends and is cut out at 2.5 inches. I used the Sweet-n-Sassy Vintage Postage stamp set for the sentiment. I have also added some twine and liquid pearls for some extra embellishment. Thank you for joining me today and next in the hop is Heather M.
Love the stamp shaped- card fantastic idea! Great projects Candice, love the TV card and the colors you used. Love the movie night invite. Love that retro tv and gorgeous postage stamp shape for your second card. Both are lovely! Happy to have hopped in today! Wonderful cards--I like your use of twine and liquid pearls. I love both of your cards. Very pretty! I love that tv. I want that cart just for that! The colors on both of your cards are so pretty! You did such a great job! The tv is so neat, the purple card is gorgeous!! Love these cards and the colors you chose. And how funky is that tv!?! Love it! Very cute! I love the TV card! great cards thanks for sharing. 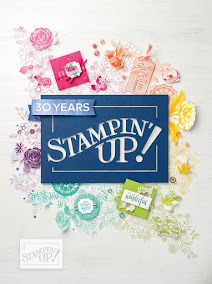 It's Stampagenza Time with CTMH!